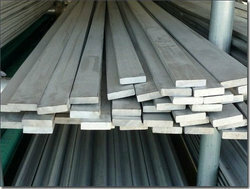 Flat steel products consist of sheets and plates. They are rolled from slabs, which are a semifinished steel product. These products are used in a wide range of industries such as automobile, domestic appliances, shipbuilding, and construction. SIMCO manufactures and supplies steel flats in 201, 202, 303, 304/304L, 310, 316/316L, 321, 347, 410, 420, 446 and any other grade as asked for. They are manufactured and supplied in various dimensions as per customer’s requirements. These products are broadly utilized for making of Pipes, Hardware fittings, Rolling Shutters, Water Coolers, Floor Tiles, Storage tanks of Geysers, Cans, Tanks, etc.